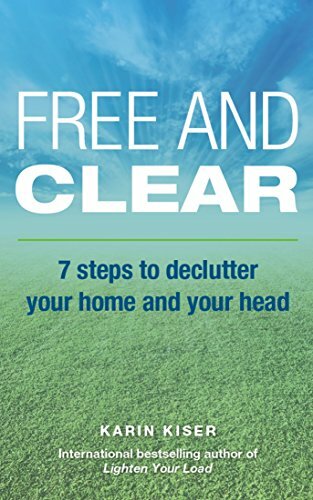 Free and Clear reveals the 7-step system anyone can use to address the root cause of their clutter and finally be free. Your stuff isn't the real problem. For however much stuff you give away, throw away or donate to charity, if you're like most people, you'll have just as much stuff - if not more - six months from now. Why is this? Most people either have a habit - or a full-blown addiction - to re-cluttering. Free and Clear will help you discover why you accumulated all that stuff in the first place, and will help you break this re-cluttering habit once and for all. Warning: this book will not reveal the perfect method for folding your shirts or rearranging your stuff. Moving stuff around doesn't get to the real issue of why you accumulated all that stuff. This book does. Using the 7-step Free and Clear system, you'll discover why you wear the same 20 percent of your wardrobe over and over. You'll also learn how to declutter your closet, kitchen, living spaces - and even your mind. Don't let another day go by with excess stuff you don't need and rarely use. Take control and follow the simple 7-step system to finally be Free and Clear. Make sure you get your copy before it goes back up to full price!